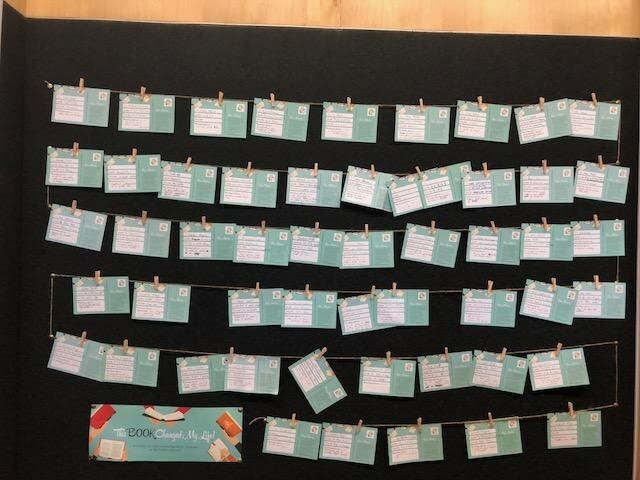 More than 40 students and staff members from Trinity Grammar School in Sydney have shared the books that mean the most to them in videos to support the Copyright Agency’s This Book Changed My Life social media campaign. The social media campaign, created by the Copyright Agency highlights the important role that copyright plays in supporting authors, musicians and artists to create life-changing creations. The campaign was developed in response to proposals to relax Australia’s fair copyright rules. 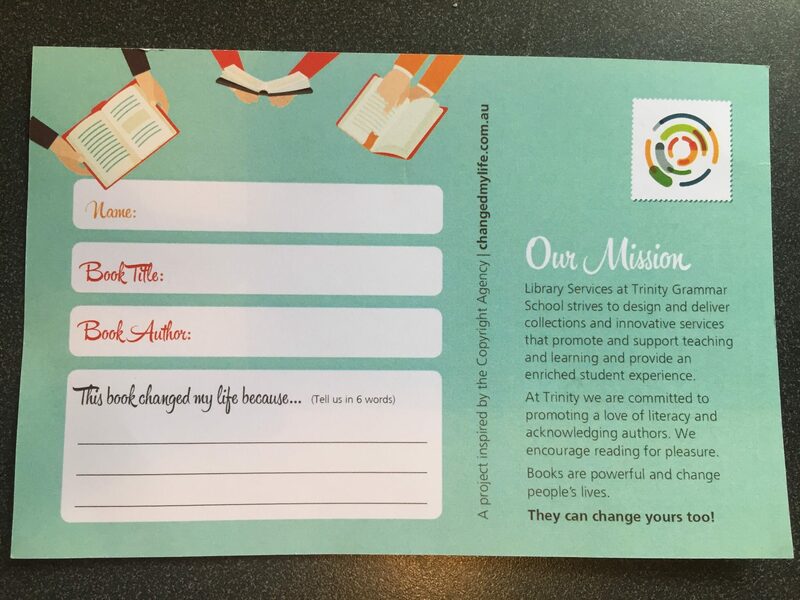 Trinity Grammar School’s Director of Library Services, Stefanie Gaspari, found out about the campaign and asked Teaching and Learning Librarian, Leanne Heanly, to use it as inspiration for developing a school-based campaign to spark a real appreciation of literature among the school’s all male students. After watching the clips from best selling authors including Matthew Reilly and Jackie French and creative influencers like Rove McManus, Ms Heanly interviewed students and staff asking which book changed their life and why, with books chosen including Mem Fox’s Possum Magic, Noel Cathew’s Voices from the Trenches: Letters to Home, John Marsden’s Tomorrow, When the War Began and Harper Lee’s To Kill a Mocking Bird. Trinity Grammar’s Head Master, Mr Tim Bowden, also got behind the campaign, selecting George Orwell’s Animal Farm as the book that changed his life at each new reading – from a teenager, to a uni student, to a mature adult. Ms Heanly wanted to showcase that reading is universal and truly life changing, compiling the videos into a short feature film, which aired in June as part of the school’s annual Arts Festival. The initiative was adopted to develop the students’ love and appreciation of literature and widen their understanding of copyright and academic honesty, including correctly crediting creative works. 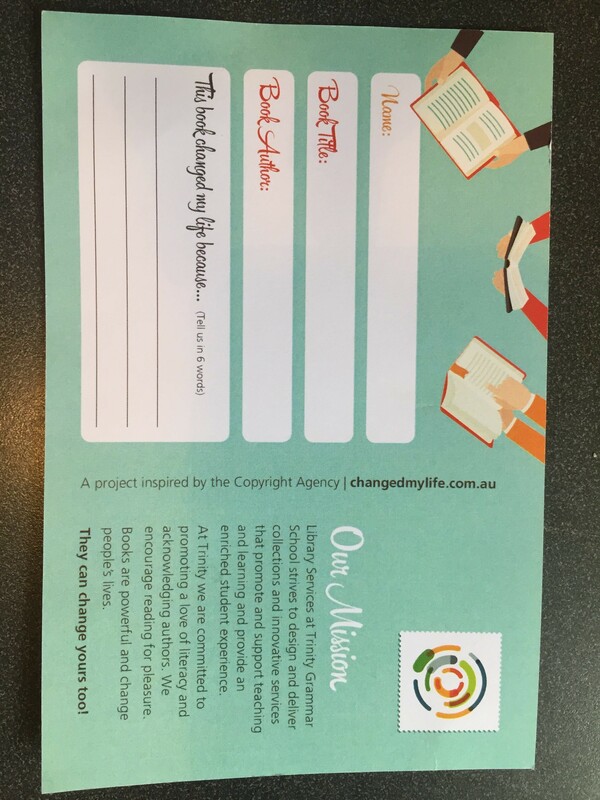 Since launching the initiative, Mrs Heanly has been overwhelmed by the positive response from the school and says the initiative will continue throughout the year, with teachers already expressing interest in incorporating the campaign into their classrooms to spark discussions and interest in reading and literature. 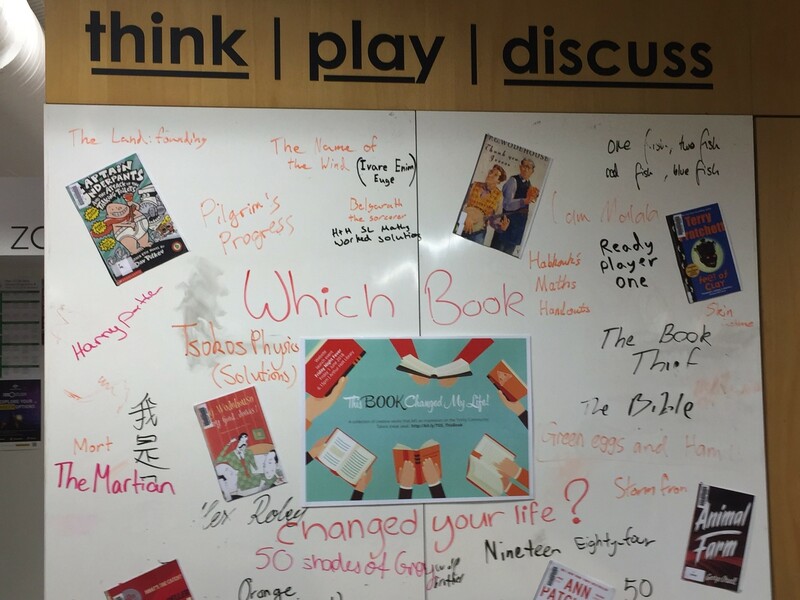 Ms Heanly is currently working with English teachers to expand the schools wide reading program to include the ‘This Book Changed My Life’ list of books as a reading challenge activity for the Year 8 and Year 9 honours classes, with prizes being offered for the most books read over the term. To learn more about the activities Ms Heanly is introducing and how you can use the campaign to inspire your students, read our Q&A with Ms Heanly.